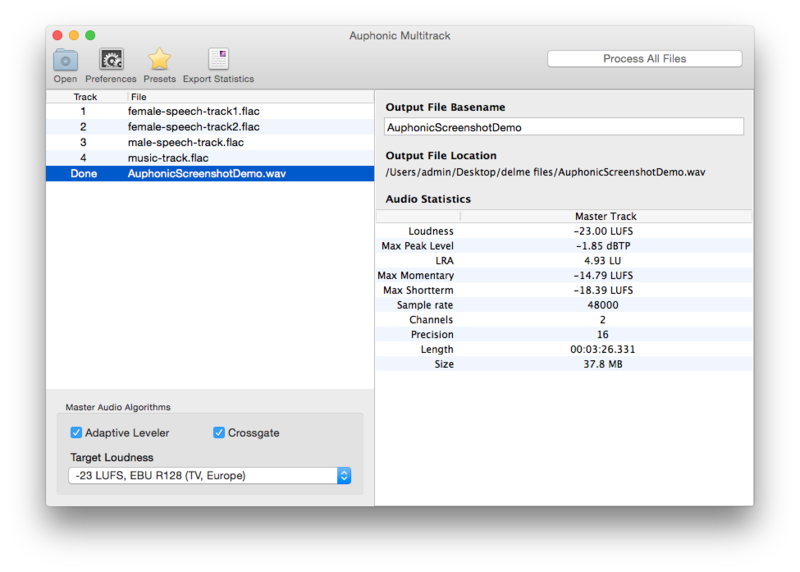 Please go to the Auphonic Multitrack Processor Page to download a demo version and to see our current licensing options. 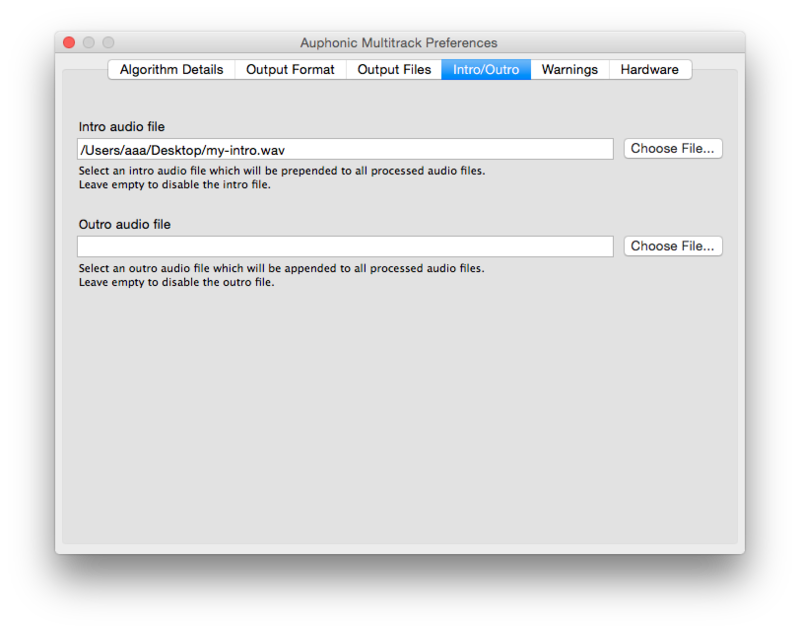 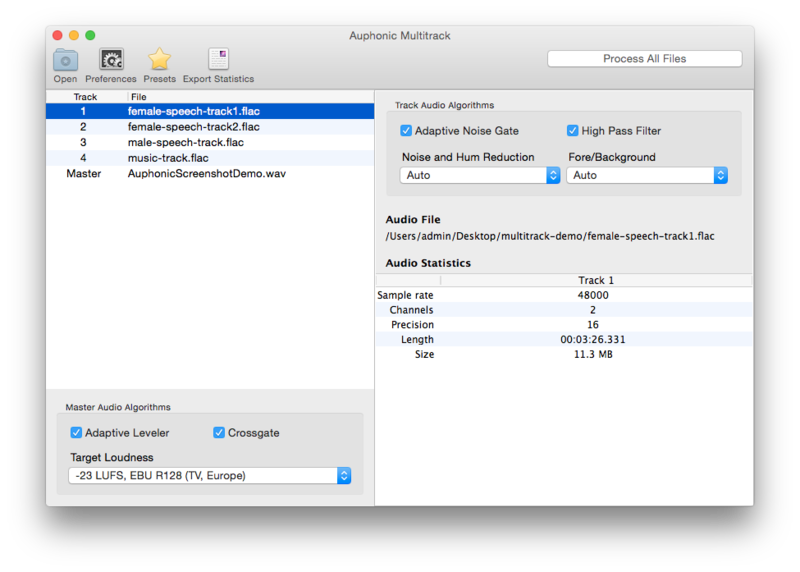 Auphonic Multitrack is built for multitrack productions only (you need at least 2 input tracks/files) and much more complicated to use compared to the Auphonic Leveler Batch Processor. 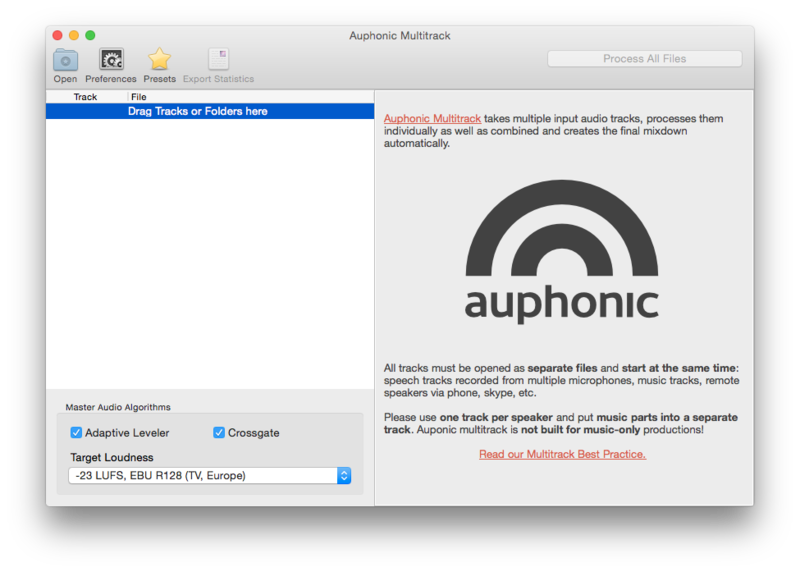 Please read and understand the Multitrack Best Practice in detail before using Auphonic Multitrack! 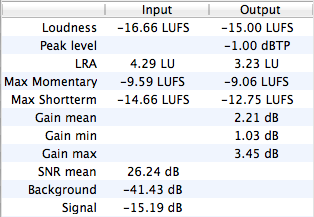 For more details see Global Loudness Normalization. 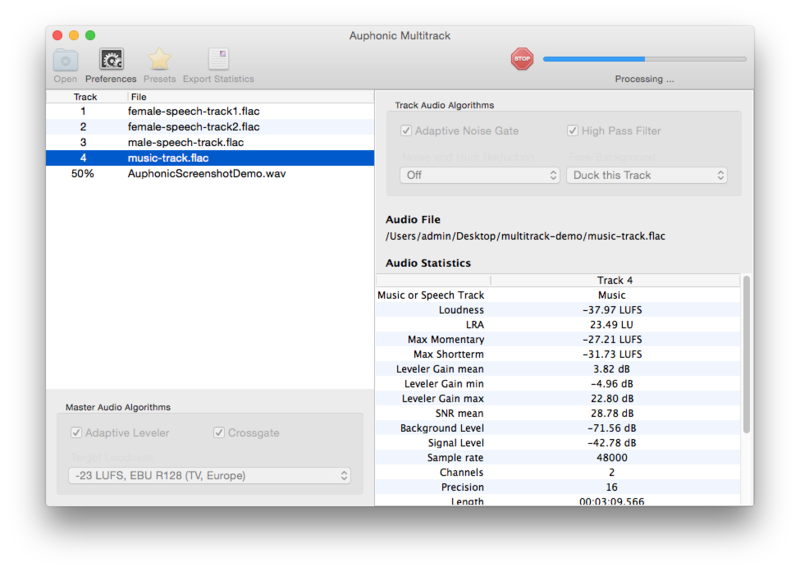 For more details see Multitrack Adaptive Filtering. 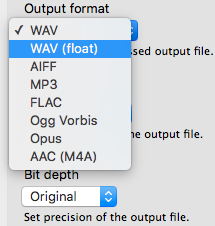 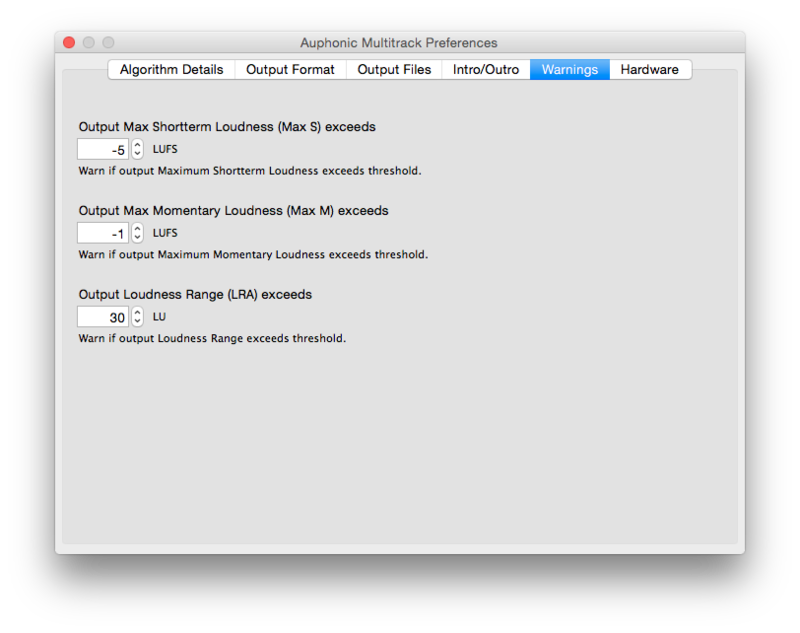 It is also possible to setup Warnings for quality control or as alerts to manually check problematic segments in your audio: for example, you don’t want a MaxMomentary loudness >= -19 LUFS or an Output Loudness Range >= 20 LU. 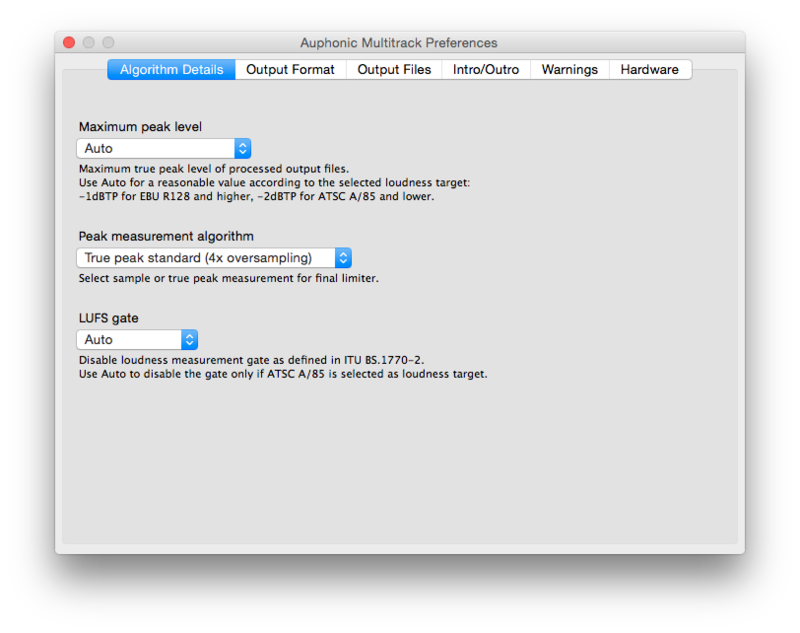 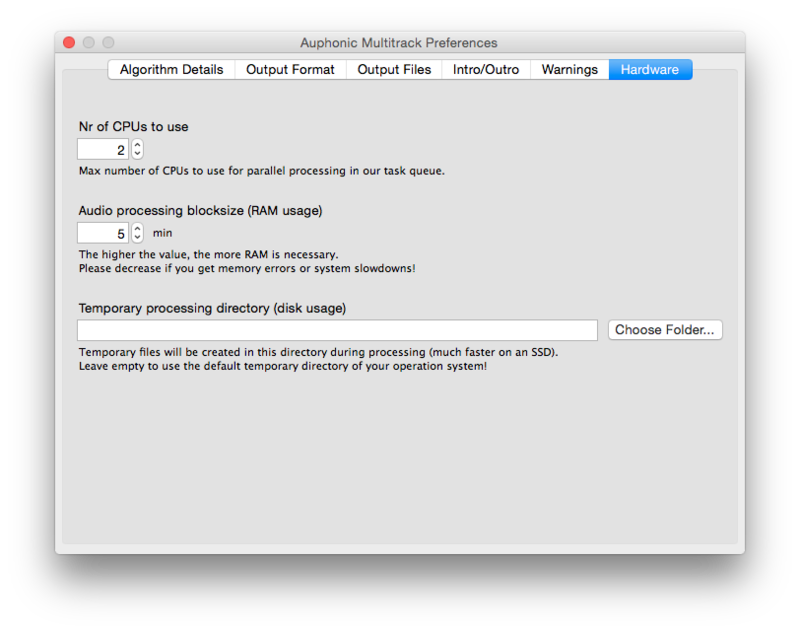 Warnings will be displayed in the application and are also exported to processing statistics files. 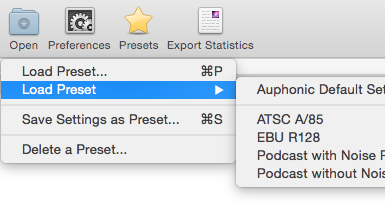 It’s also possible to export the individual, processed tracks for further editing and to export processing statistics. 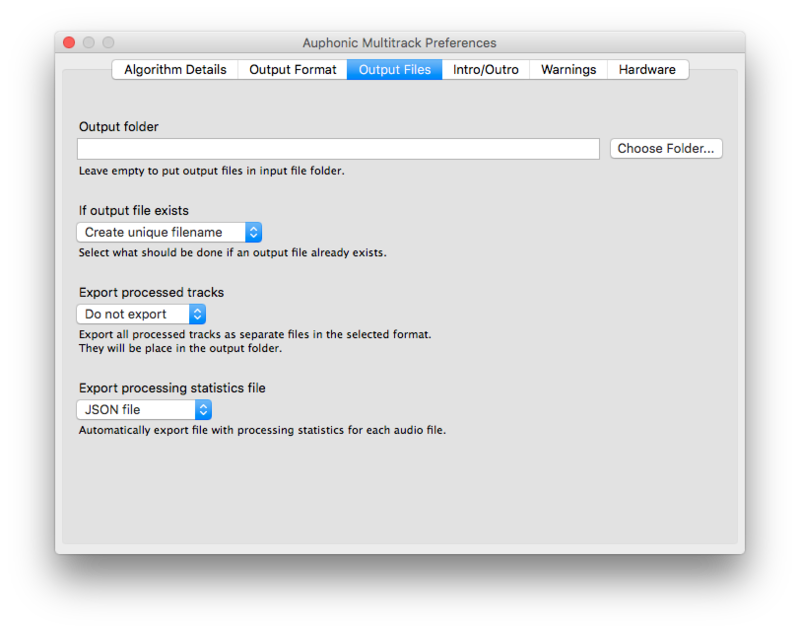 Export all processed tracks as separate files in the selected format. 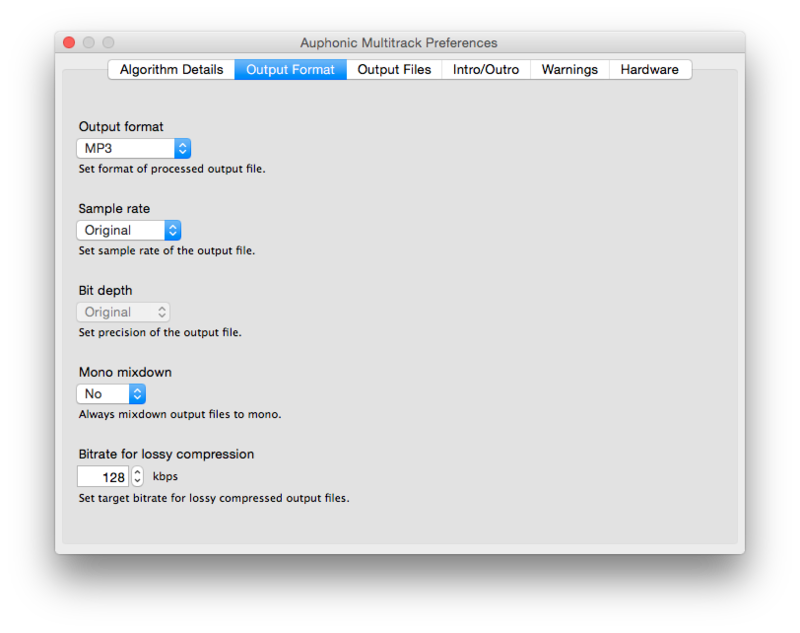 They will be place in the output folder.